Over the last years SPIRIT OF MOKSHA in Hamburg has become one of the most attractive Psytrance events for the underground psytrance culture in Northern Germany. For this year's event DJ Bazooka, organizer and label artist of Sun Department Records, compiled a extraordinary sound selection reflecting the soundscape of past and present events. This release comes with 12 outstanding and unreleased tracks from artists around the globe like Timelock & Geronimo, Jakaan, Ital, Champa vs Mentalogic, Chrizzlix & Algorythm, Crossing Lines, Genetic Source, PsyFiction, Magoon, Mondu Shiva, Affreqtic and Strange Personality. 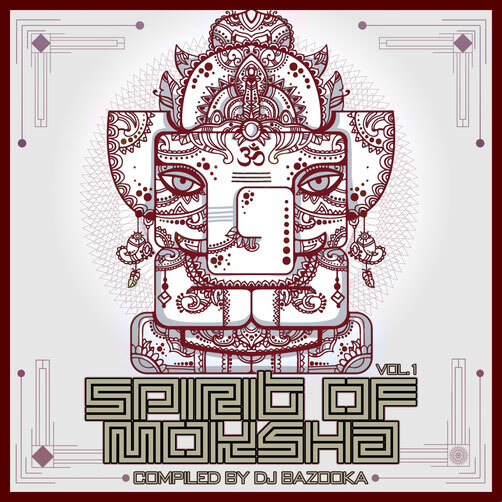 A big THANK YOU to all artists who made this compilation happen - see you all at Spirit Of Moksha 2019!